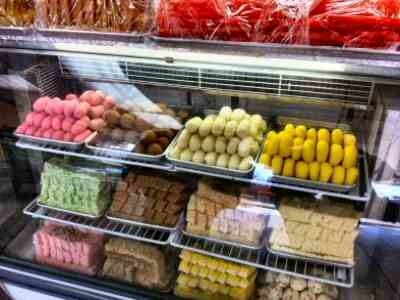 Mithaas located in Pakistani enclave of Ave H and Coney Island Avenue in Brooklyn offers delicious Pakistani and Indian sweets and cookies. All for a mere $6 per pound. I tried a pound of assorted sweets sporting names like Kalakhand, Green Peda, Chum Chum, Shahi Burfi and Laddu. Except the Laddu, all the others were milk based sweets. 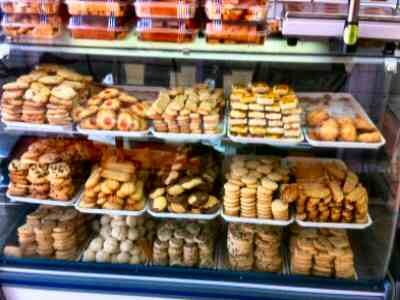 Mithaas also offers a variety of Cookies. Out of calorie concerns I did not try any of their cookies. Hey, there’s always a next time.